Igor Karača is a Bosnian-American composer, sound designer and pianist of classical and jazz music. After taking private music lessons, Karača studied music at the Academy of Music in Sarajevo under Josip Magdić and Andjelka Bego-Simunić. He graduated in 1996 with a BM in music composition, and has since been a guest at different masterclasses in Europe, working with Boguslaw Schaeffer, Klaus Huber, Helmut Lachenmann, Marc-André Dalbavie and Marco Stroppa, among others. Most of his work has been for chamber ensembles and electronic media. He has written three symphonies, thirty electro-acoustic compositions, and over seventy chamber compositions, including the award-wining Wind Trio, Between Walls for violin, clarinet and piano, Filigree for saxophone, accordion, vibraphone and piano, and Handful of Dust for bass clarinet and piano. Karača also composed dramatic scores for three motion pictures: A House Over the Rainbow, Sarajevo War Diary and Tell Me Your Name Again, and four theater plays: Twelfth Night, Fate of a Cockroach, As You Like It and Requiem for 'Bird' Parker. Digital audio is among Dr. Karača’s primary research interests. As a beta-tester and sound designer, he has collaborated with one of the major Digital Audio Workstation developers, Propellerheads (Sweden), as well as numerous independent plugin creators from the US, UK and Asia, including Ochen K., Josh Levy, Jiggery Pokery, Multi-D, WiZ Audio, Doodov Digital Design and others. 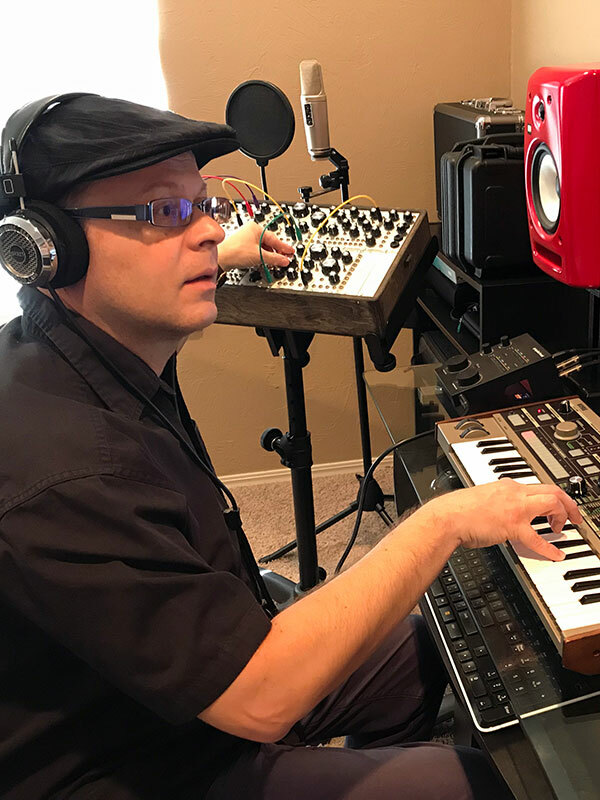 He has also collaborated on software module design with algorithmic music composition software developers, such as AlgoArts (USA, winner of Electronic Musician's 2005 Editor's Choice Award). Many of his sound designs for software instruments, effects and music composition software can be found and previewed at propellerheads.se and algoart.com. Karača’s textbook “Introduction to Music Technology” was published by Sarajevo Music Academy in 2013.